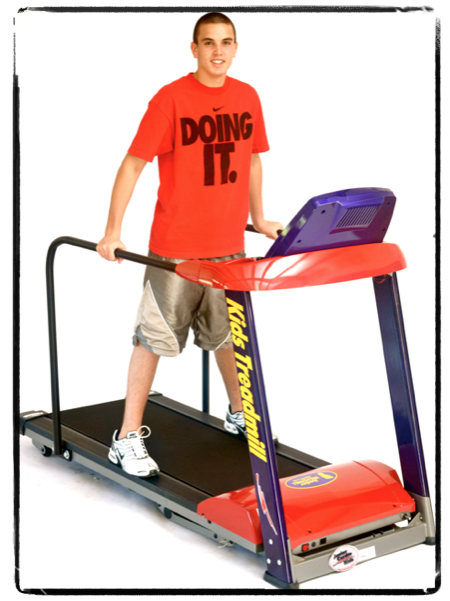 This Junior treadmill is a favorite with children of all ages! The target age group for the Junior Treadmill is middle schoolers (Ages 12-14). The 3 Horse power motor combined with optional steel reinforced running frame, provides facility operators the ability to work with children up to 300lbs. This unit comes with all the bells and whistles to help motivate children to be active and fit. Safety side handrails and a children's computer readout are optional. Product dimensions: L=79.9" W=34.8" HT=56.9"
Speed Range .5 - 12 M.P.H.